During the winter months, many cities treat their roads with chemicals and salt products to keep them clear of ice and other winter hazards. This can cause corrosion to the underside of a vehicle. On some of the Chrysler products, such as the Caravan, Town and Country and earlier Voyager vehicles, it has lead to an increase of corrosion to rear evaporators and the fittings. 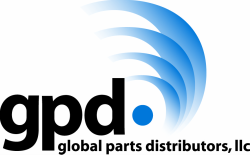 Global Parts Distributors has the solution! We have a wide range of replacement rear fittings for the Dodge and Chrysler mini vans.